This is a glorious bright blue! 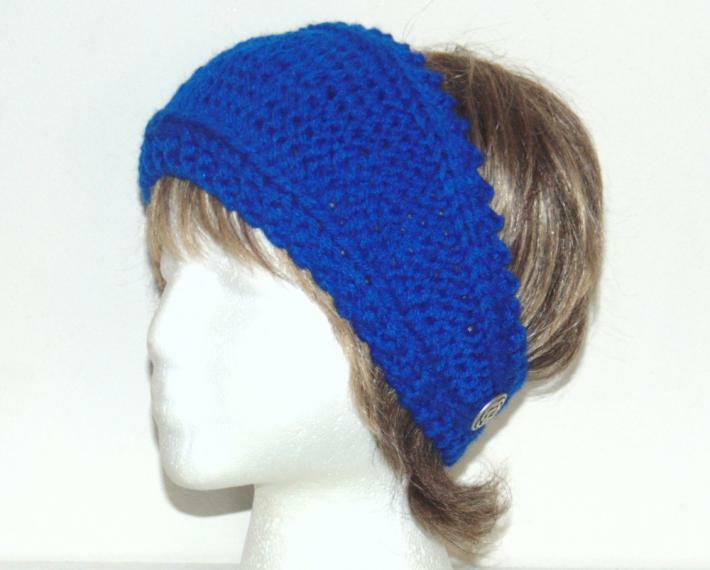 This headband will keep your ears toasty warm in style. Tapered so that it won't bunch up at the nape of your neck, this headband closes on one of the two metal buttons to give you a perfect fit. 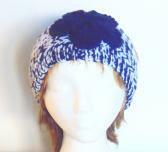 You'll get years of wear form this easy care (machine wash/dry on cool/warm settings) acrylic hand knit headband! 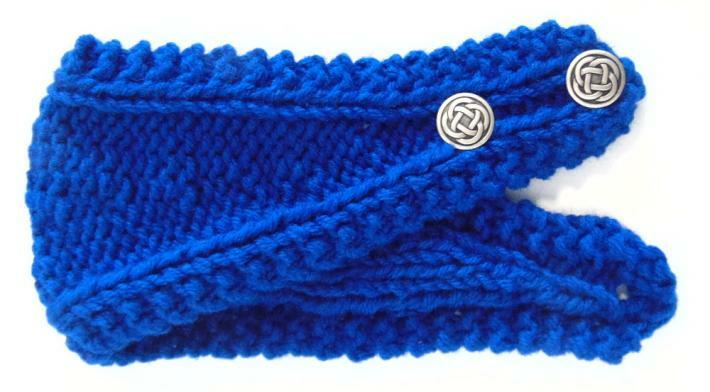 End to end, this headband measures 20 inches and is 5.5 inches wide at the widest point. 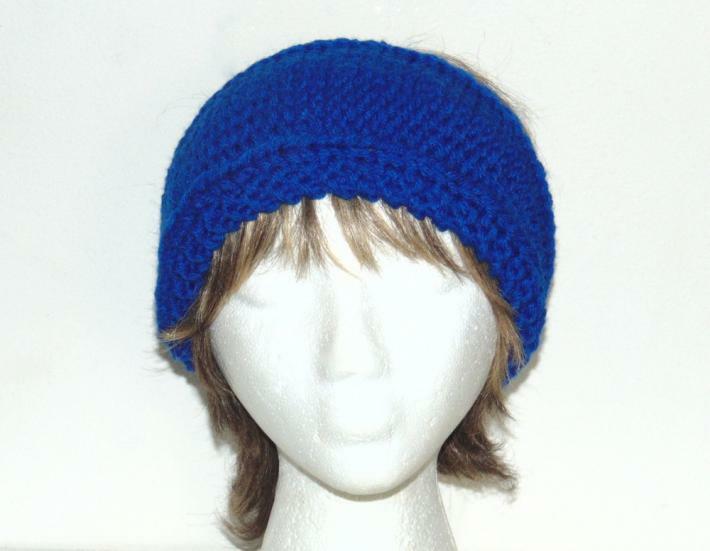 This is a fashion accessory you will wonder how you lived without!